Each one is a Spring idea that will get your creative juices flowing and fill your home with lighter tones and textures. Are you ready for Spring, like I am? Then let’s get started! 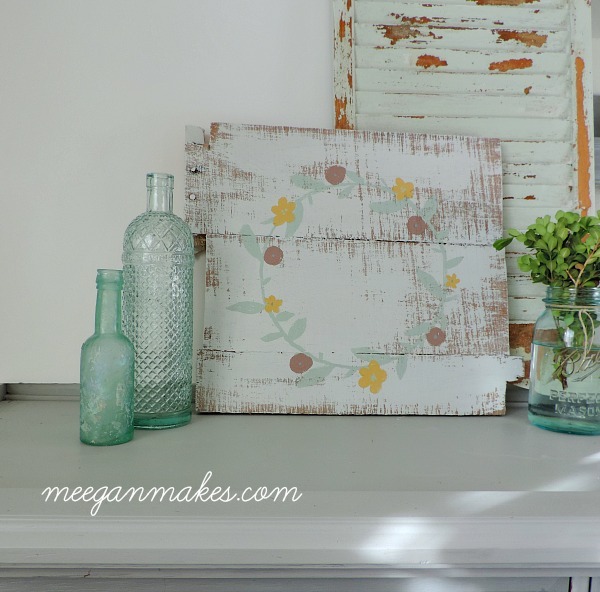 I love my easy DIY Floral basket made from a spice rack! It adorns my front door filled with real flowers each Spring. 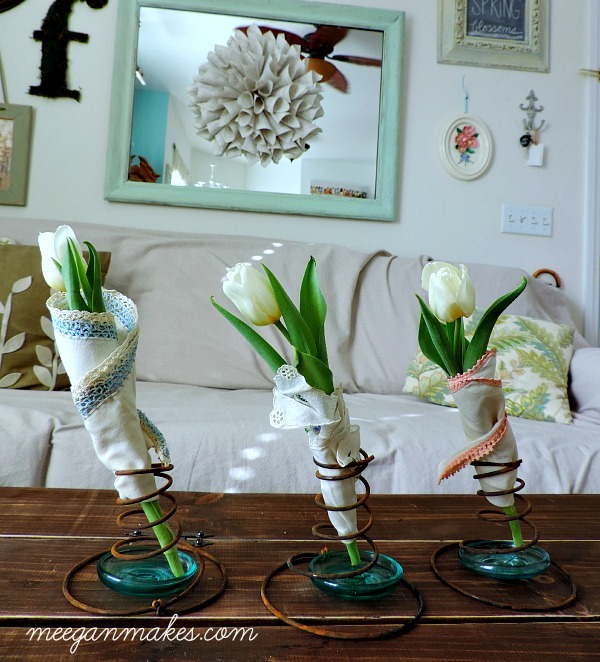 Using vintage hankies and rusty box springs makes for a pretty way to display fresh tulips. 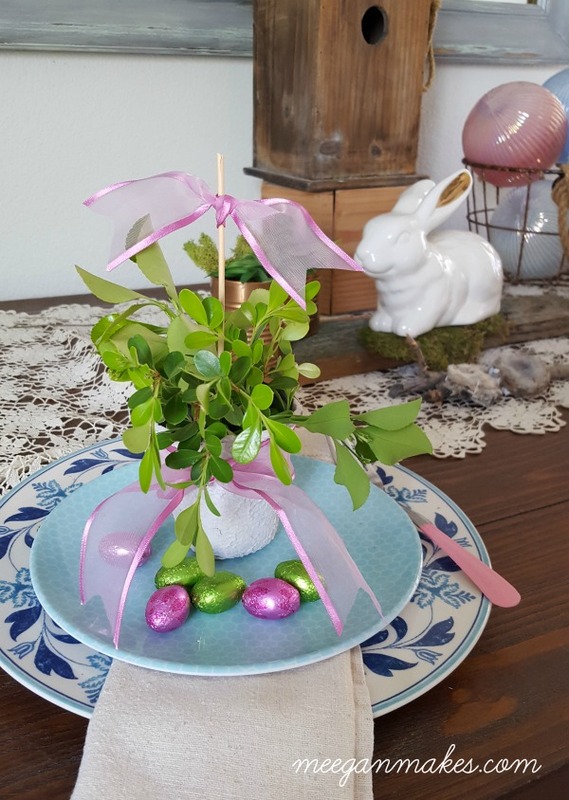 Lovely enough for everyday or even a tea party centerpiece. 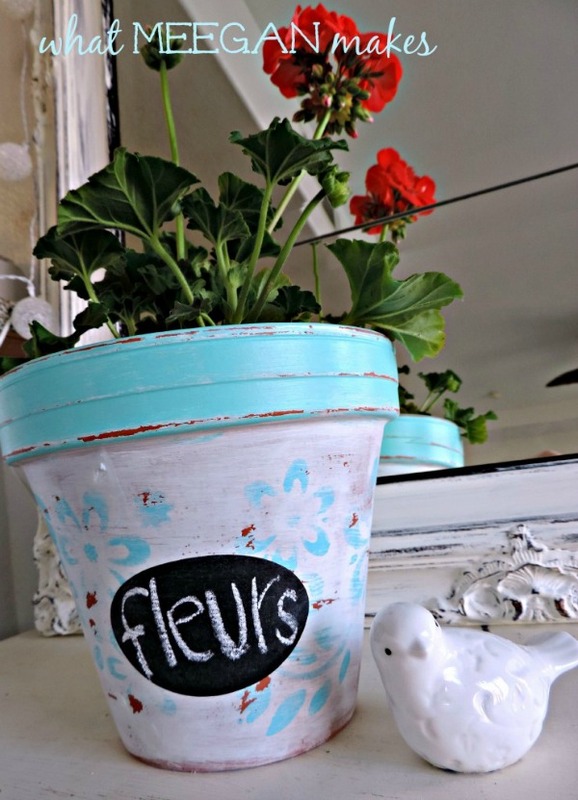 Using your own terra cotta pots, add a pop of color with paint and stencils. Super fun and easy. Find my tutorial here. 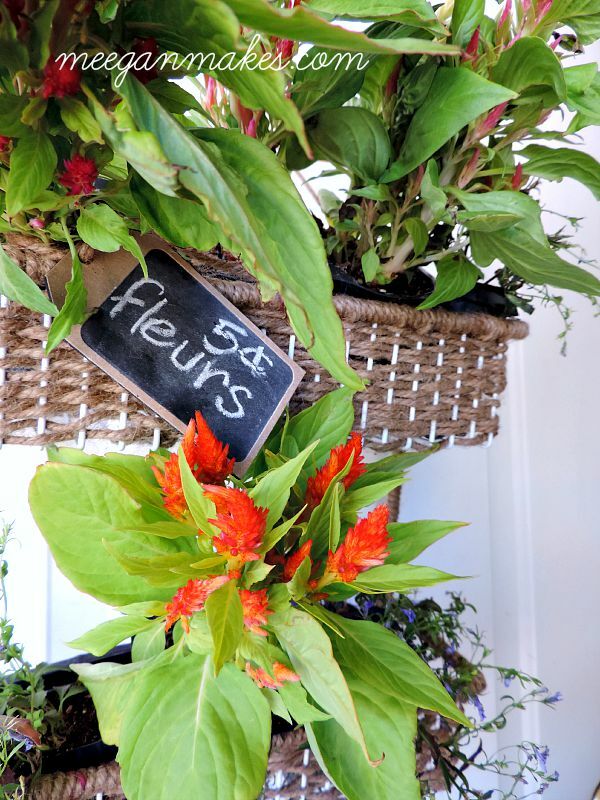 Using simple (and in-expensive) peat pots is a fun way to celebrate Spring. I made this colorful centerpiece with greenery right outside my own front door. Adding a unique piece of art is a fun way to add Spring to any home. 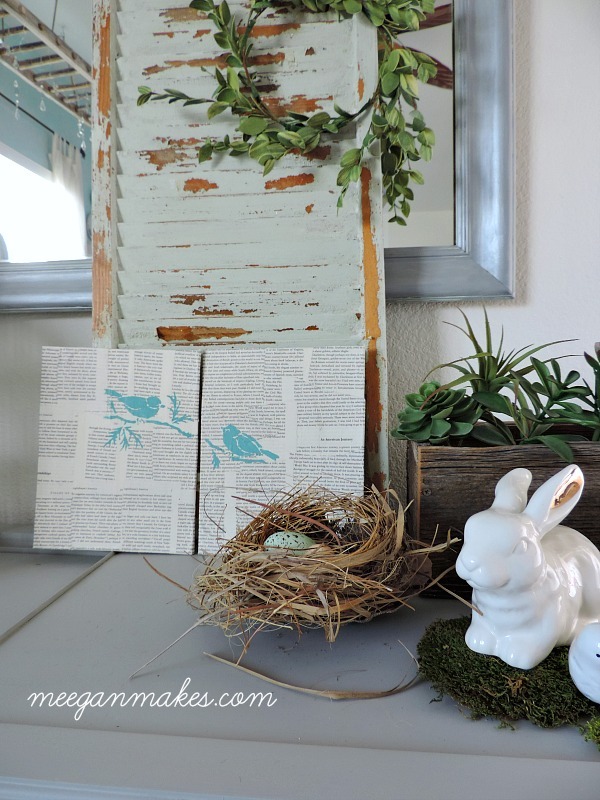 This Spring stenciled bird art made with vintage book pages is STILL one of my faves. Pallets are a great way to make your own art, too. Create a piece in your own style and colors. If I could make this piece of art, you can, too! Simple as simple can be Let me show you how, here. 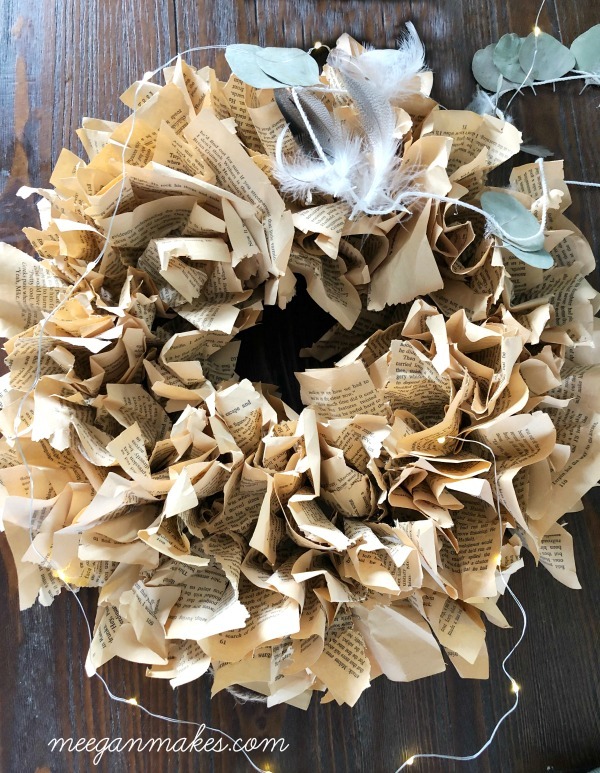 If you know me, you know that I love me a book page craft. With vintage book pages? Even better! 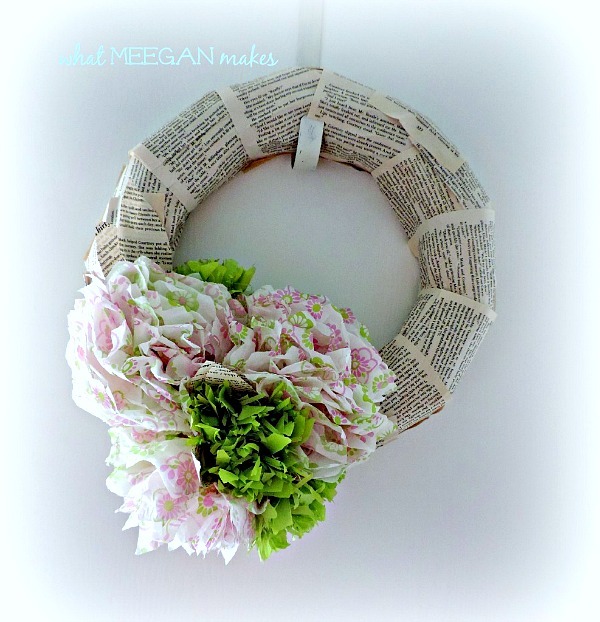 I have a couple of book page wreaths on my blog. This one will show both of them for you to choose from. 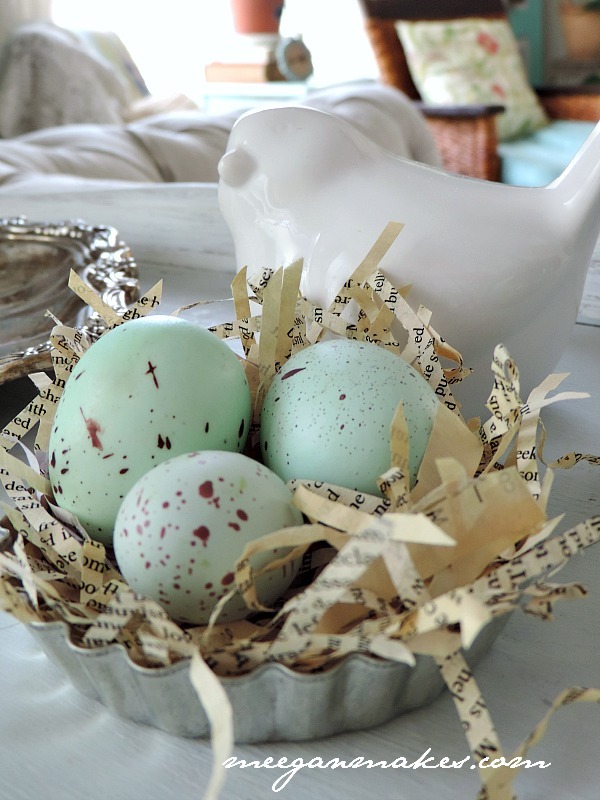 Another way to scatter Spring around your home would be to make your own bird’s nest from book pages. ( I told you I have a thing for book pages!) These are easy to make and perfect for a centerpiece or resting on your mantel. 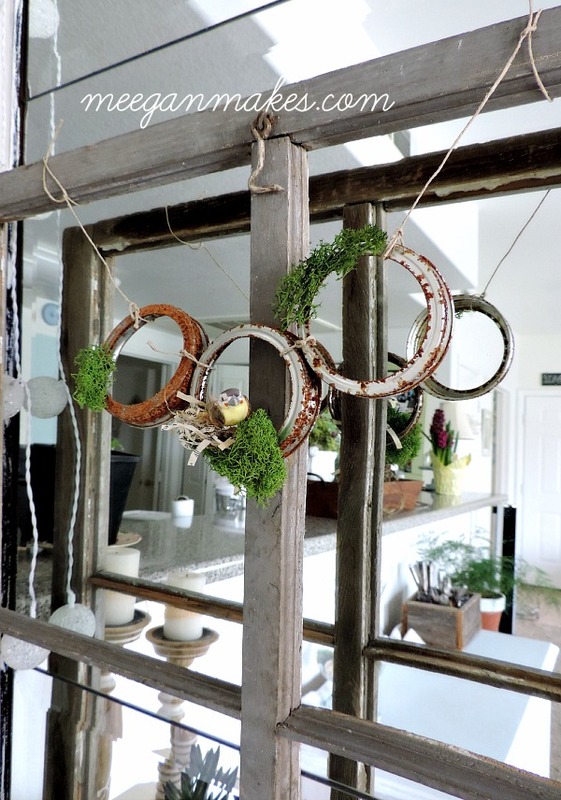 This rusty mason jar ring garland is just as sweet as can be. I show you from the beginning to end on how to make your own. Everything from making a rusty jar ring to the mossy touches right here. 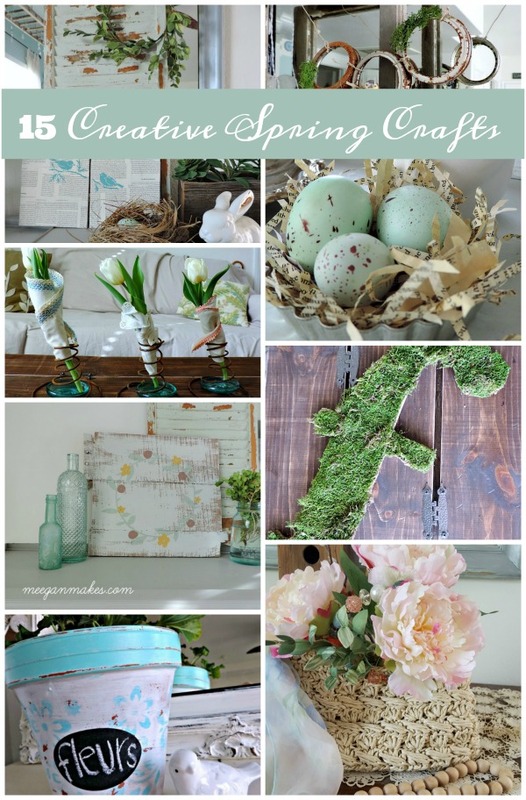 Moss crafts are a beautiful touch for Spring décor. 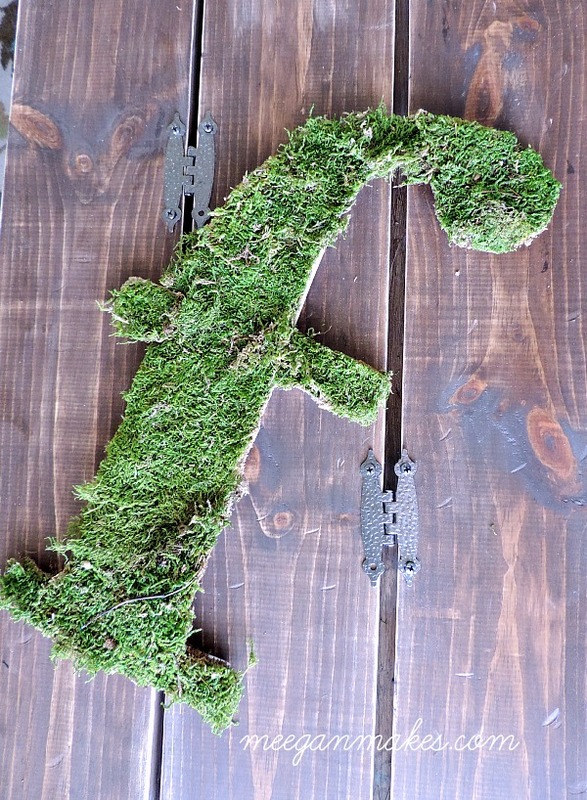 My moss monogram is one that also makes a great gift for Easter and/or Mother’s Day. Do you like peonies as much as I do? 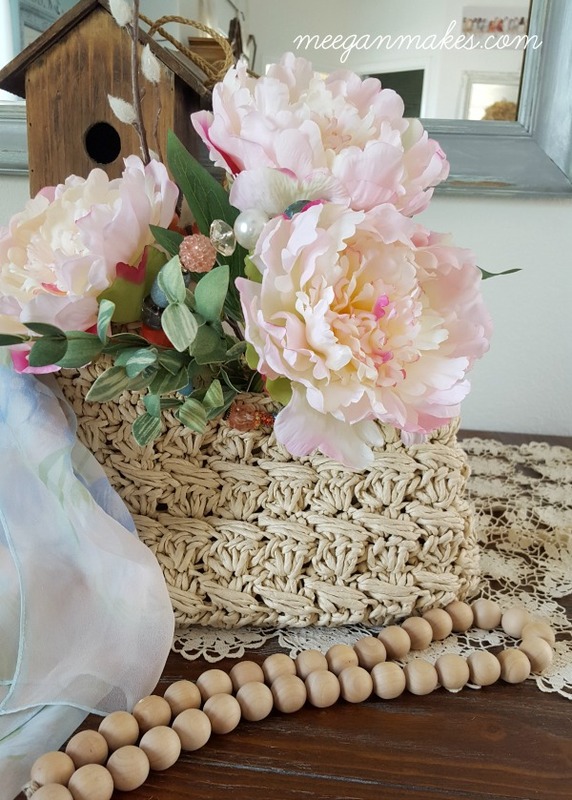 Then you will LOVE my Spring peony wreath hanging on your front door, welcoming your family and friends at Springtime. 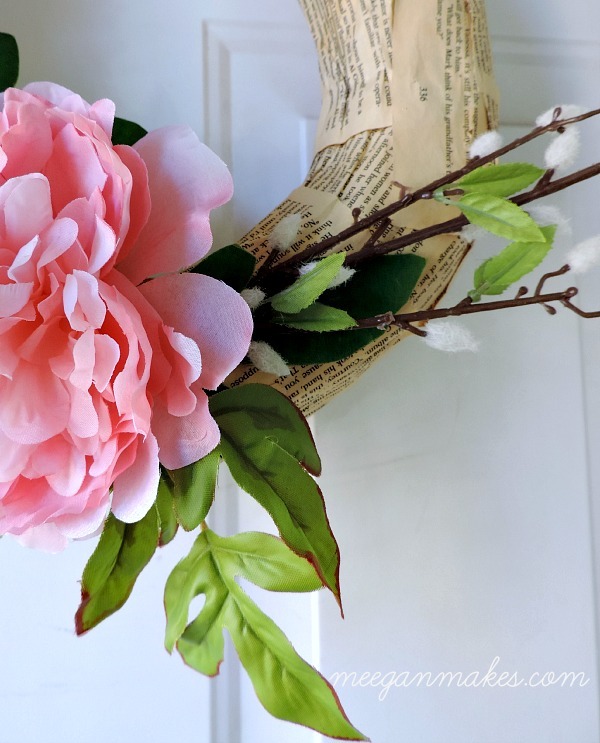 Or if your prefer to make your own flowers, try this wreath with DIY tissue paper flowers. Super cute and unique. 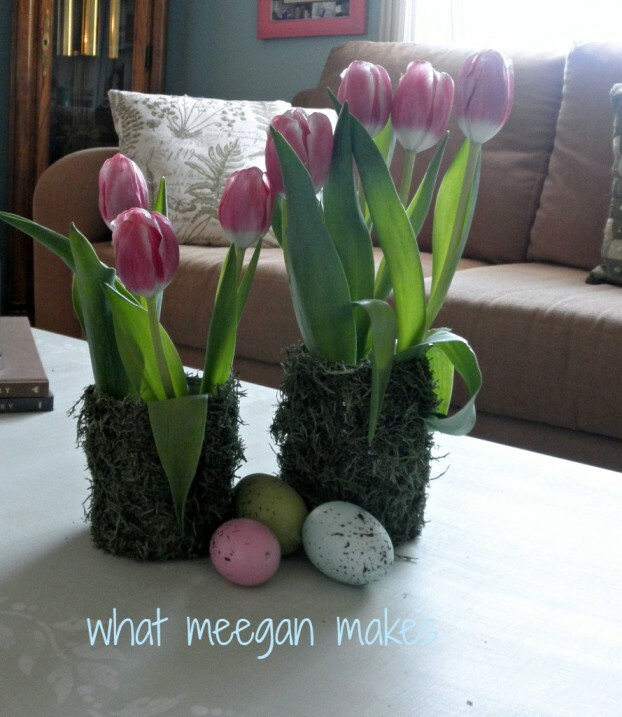 Another creative and in-expensive way to bring Spring into your home is to make your own moss vases. Set your dining room or breakfast nook table with Spring colors. 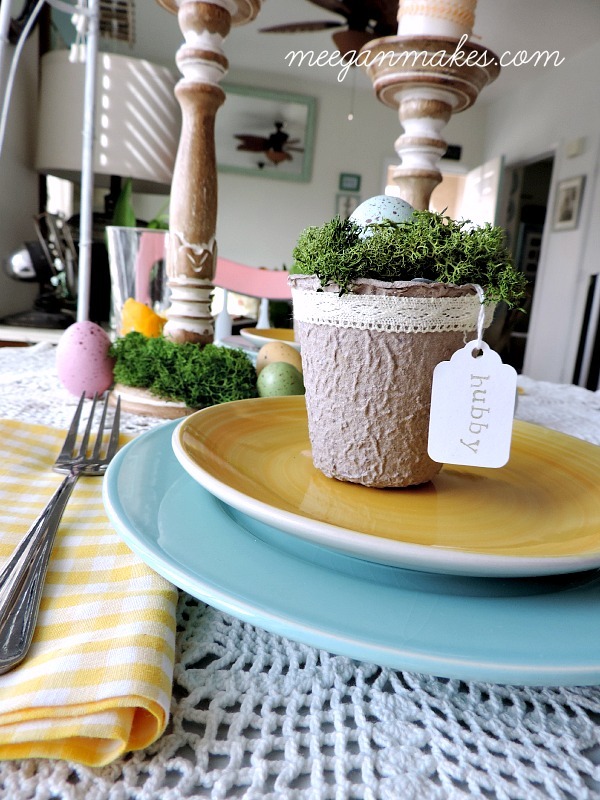 Add your own touches with a DIY peat pot place card. 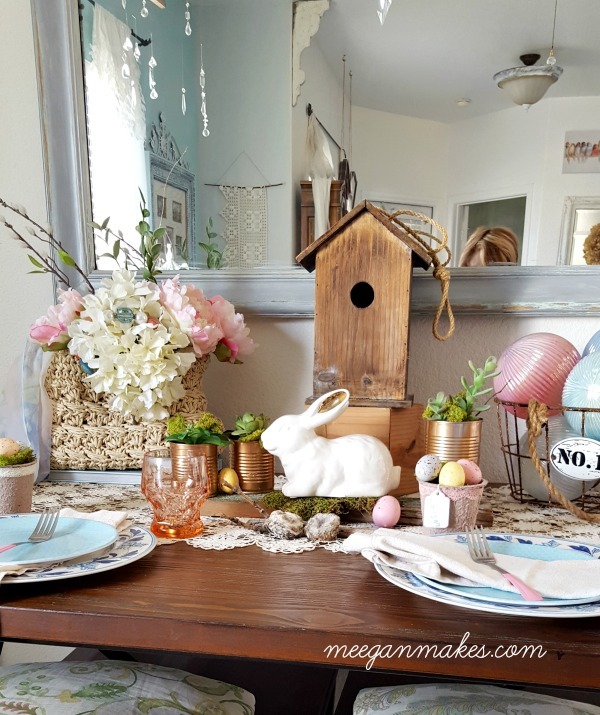 With your own vintage pieces and tableware, design a pastel Spring table for a tea party or Easter egg hunt. Make a beautiful centerpiece with your own handbag! This is a “little to no cost” project. (My kind of craft!) Find out how I made mine in this blog post. As I said in the beginning, these are just a few of my favorites. I have so many more here on my blog for you to see and enjoy. I hope you have had fun and enjoyed each and every one of the 15 Creative Spring Crafts. I would love to hear which one is your favorite and which one you want to make first. It’s been a joy to be with you today. I hope you make it a great one.